Prepaid gift cards make popular presents and no-brainer stocking stuffers, but before you purchase one be on the lookout for signs that someone may have tampered with it. A perennial scam that picks up around the holidays involves thieves who pull back and then replace the decals that obscure the card’s redemption code, allowing them to redeem or transfer the card’s balance online after the card is purchased by an unwitting customer. 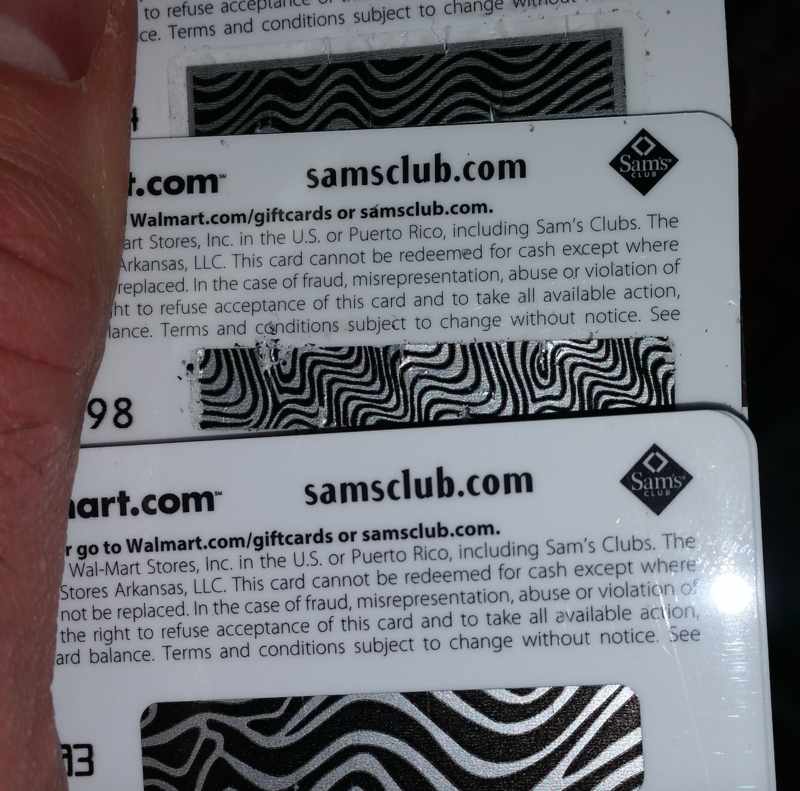 Last week KrebsOnSecurity heard from Colorado reader Flint Gatrell, who reached out after finding that a bunch of Sam’s Club gift cards he pulled off the display rack at Wal-Mart showed signs of compromise. The redemption code was obscured by a watermarked sticker that is supposed to make it obvious if it has been tampered with, and many of the cards he looked at clearly had stickers that had been peeled back and then replaced. In the picture below, Gatrell is holding up three of the Sam’s Club cards. The top two showed signs of tampering, but the one on the bottom appeared to be intact. The top two gift cards show signs that someone previously peeled back the protective sticker covering the redemption code. Image: Flint Gatrell.